Few days back a postal parcel took me by surprise. 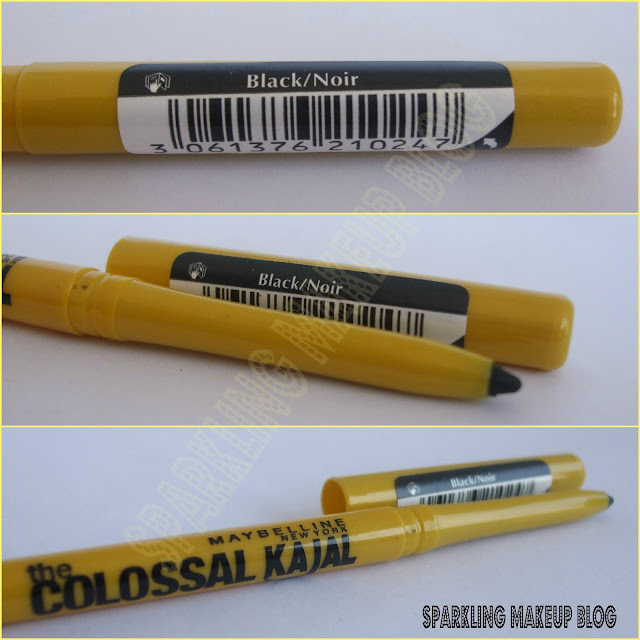 I received the most raved product Maybelline's Colossal Kajal. Couldn't wait to try it on so hurriedly took the snap-shots and tried it on. How was my experience??? To Know More Read More!!! This one is a Yellow plastic pen with a Yellow click-lock cap. 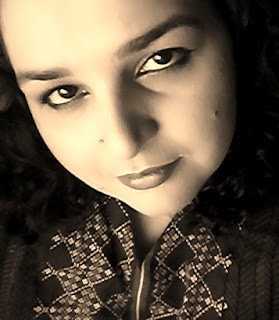 The Head containing the main Kajal/kohl is a twisting pencil, like automatic eye-pencils, you just twist-it-up. The quantity of the product inside the pen is reasonable, approx 1.5 inches long Kajal stick. This can be twisted out and can be twisted in, as one requires the nib for use. That's easy. Over all its a beauty to have. Shade is called "Black Noir". Do not mind my eyebrows shape I am growing them to achieve a more natural look. 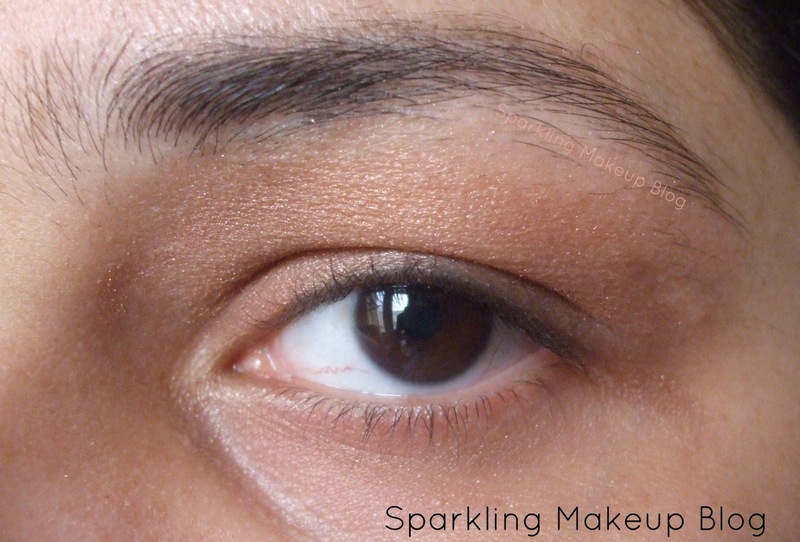 In my University days I used Kajal religiously as it was the only thing that could stay all days on eyes, help you escape that sleepy look and is simple too (gives a makeup less look :p). I love tight lining my eyes with a black kajal/kohl pencil. When I got this I was not sure how it will be as for me this is a Kajal in a modern look/packaging. I loved the packaging though it helps you get only the nib you require, hygienic though! Although the kajal stick is approx 1.5 Inch long but I am sure it will last me more than 12 months. As it is highly pigmented esp on the lash line. I have sensitive and watery eyes, but Thank goodness it didn't trigger any irritation when applied on my waterline. It does not smudge, I wont say "at all" but yes it is not that bad to give you Panda eyes. The staying time on my watery waterline was more than two hours, but after this two hours it didn't vanish like Choo! but faded away gradually, not completely, leaving the hint of the tint. I smudged it on my lower lash line and yes it smudged easily and stayed for a handsome time. Secured with a smokey powder it can stay for a longer period without melting or flowing down. The weather these days is not that hot so I guess in Summers it will need a little care to secure it all around the eyes but I am sure this one is a good baby and won't let us Kajal Lovers down. I am loving it and once again having Kajraray naina these days. In summers I love the simple look with Kajal on eyes, Mascara on lashes, Blush on cheeks and a soft shade of lipstick on my lips. This one is a travel friendly with its click lock cap it is a no mess for my purse. I am loving this Twist-up Kajal, so GO COLOSSAL!!! 4/5. Good product you must give it a try it if Kajal is a staple product of your stash. Available nation wide just in Pkr 375/-. To purchase online check Just4girls. For updates of MNY makeup in Pakistan join Maybelline New York Facebook fan page. 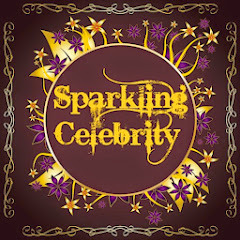 Do visit the website. 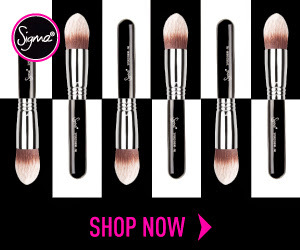 To read my other posts on Maybelline NY products click HERE!!! 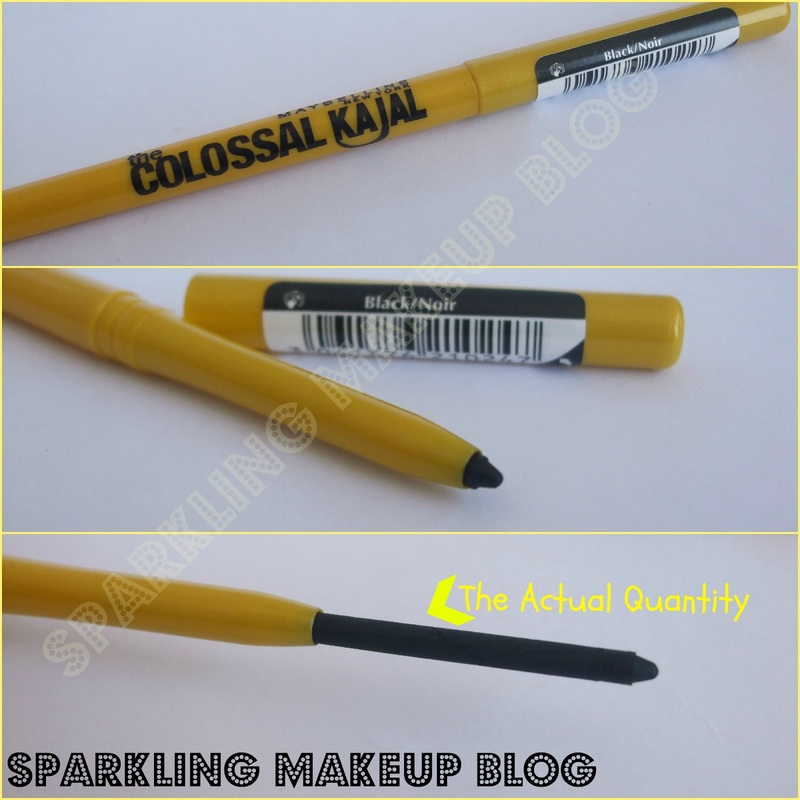 To read my other posts on Kajal/Kohl click HERE!!! Have you tried this Colossal Kajal yet? for those who still want t0 buy beware there is also some fakeness out there! 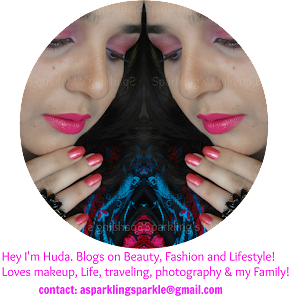 Huda great review. I am kajal lover .After reading all review i definitely try this kajal.